A pair of dog walkers enjoy mild morning temperatures at Regan Beach Tuesday on the South Shore. 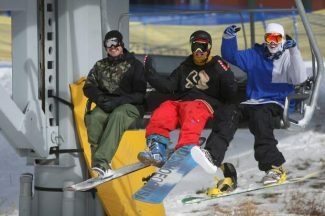 Forecasters say Tahoe's unseasonably warm temperatures may not have a dramatic effect on the snowpack. 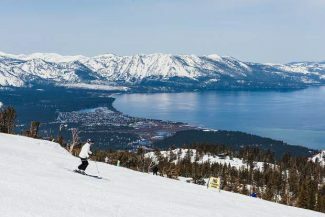 While temperatures around the Tahoe Basin are forecast to reach close to 15 degrees above average this week — with no precipitation expected — meteorologists and water resource officials say it’s not yet a cause for concern when it comes to the snowpack. Even with the dry spell continuing, he said, “We’d be right on normal conditions,” although above average would be preferred due to drought. He further explained that with the low solar angle and shorter days this time of year, the melting impact won’t be as dramatic as it would later in the winter. While the snow will melt significantly at lower elevations, the deep snowpack at higher elevations is less of an issue, he said, and is less affected by warmer temperatures. And while snowpack depth may change substantially, water content likely will not see as dramatic of a loss. The snowpack becomes more dense rather than fully melting. 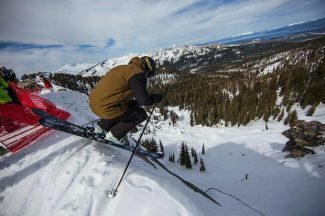 Should the dry spell stretch into March, however, he said that would be potentially “very detrimental” to the snowpack. Current forecast models are calling for the high pressure system, which is keeping unseasonable temperatures and clear skies in the region, to potentially dissipate next week — allowing for storms to return. Even if it remains dry, Bardsley suggested that the snowpack water content could simply drop back to average. As of Wednesday, Feb. 9, statewide snowpack water content was at 104 percent — down from 114 percent from Feb. 2 — according to the California Department of Water Resources. 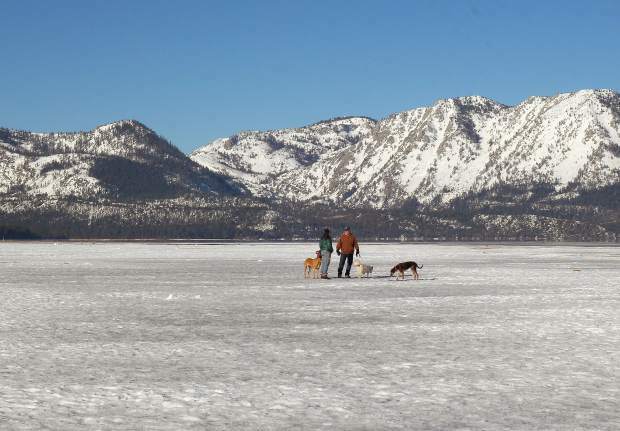 The Lake Tahoe Basin remained substantially higher than the state average, however, with U.S. Department of Agriculture SNOTEL sites still reporting around 125 percent of average snow water content. 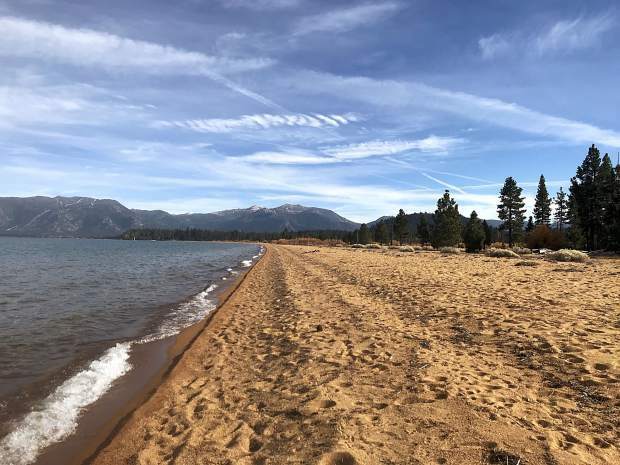 According to Weather Channel data, the Lake Tahoe region’s February average high temperature is around 44 degrees, with a record high of 62 reached in 1977. Temperatures this week are expected to reach the mid to high 50s.